Downsizing has become an increasingly common term used in all kinds of scenarios and industries in recent years. In the moulding world, however, the quest to go small is nothing new. Micro-injection moulding (micro-IM) has been around for more than 20 years; it relates to the manufacture of injection moulded plastic parts that have a shot weight of less than one gram. Growth in demand for micro-IM parts has been driven largely by the medical and healthcare sector; in 2012 it accounted for one-third of the total global polymer and thermoplastic micro moulding market and was valued at US$308 million. Typical items being moulded using the technology include catheter components, implants, blade holders, dental prosthetics and hearing aids. In reality, the process of micro-IM is not that dissimilar to creating larger parts. Shot-to-shot precision is where the main difference lies. If more material is allowed under the check valve on a 10 g part it isn’t a big issue, but if the part weight is 0.1 g it becomes a major problem. Historically, micro injection moulders would have used hydraulic machines, which meant dealing with variations in oil temperature and compressibility. Those drawbacks are removed from the equation with the new generation of all-electric units. The ability to use a 14 mm screw for moulding micro medical components enables manufacturers to accomplish small shot weights and achieve the fine control required. The 14 mm plasticising unit contains around 8 cm3 of plastic material at the screw. Any airborne contaminants, such as dust and particles from the raw materials, as well as human contaminants like bacteria, could affect the function of a medical device. 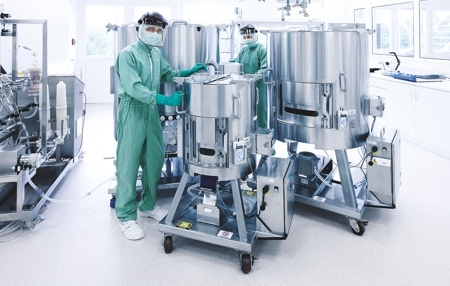 For this reason, medical device parts are manufactured and packed in a cleanroom environment. Vacuums are often used to extract micro medical device parts from the IM machine to save operators getting into direct contact with them, which could cause contamination. Many machines have a complex automated end of arm tooling systems to ensure they remove the parts without damaging them. As well as offering repeatability and a stable production process, micro-IM also relies on a certain level of automation to ensure that the moulded items stay in optimal condition with regards to part quality, hygiene of medical components and production efficiency. Creating a fixed cleanroom environment can be a large investment. They can be expensive to build, cumbersome to plan for and costly to operate and maintain. Additionally, the space occupied by a fixed injection moulding cleanroom with air filtration system could measure anything from 32 to 50 m2. 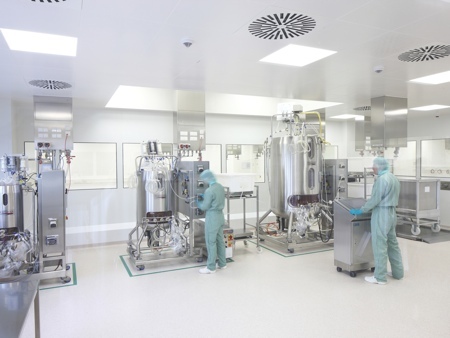 For those exploring the commercial viability of cleanroom manufacturing, a self-contained unit offers a lower-investment solution. Integration of micro-IM machines to existing manufacturing facilities is driven by the production environment. 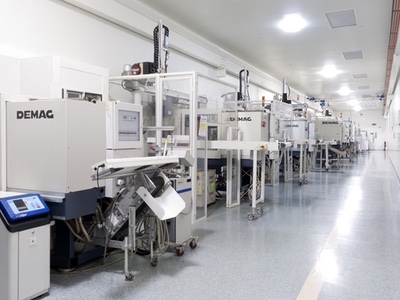 In some instances, the machine is contained within a full cleanroom equipped with an air filtration system, whilst others units could be partially within a cleanroom. The machine and tool validation is a fundamental step to creating a stable manufacturing process. US and European companies operating in a medical device micro-moulding environment would need to comply with any GAMP and FDA requirements and would consequently need the required DQ, IQ and OQ documentation. They may opt for a self-contained cleanroom moulding and packing system to meet ISO Class 7 or 8 standards. Compliance is generally driven by the US requirements so this has been adopted worldwide as “good manufacturing practice”. In accordance with ISO 13485 standards, ongoing documentation of the micro moulding process needs to be maintained. This is a continuous process, which is a significant change under the new directive. From time to time, machine settings may have to be adjusted to compensate for changes in the environment or to address moulding issues, such as pulling, distortion, or aesthetic defects. The key areas that might impact a stable process include changes in pressure, temperature, flow rate and cooling rates, any of which may trigger a re-validation exercise. 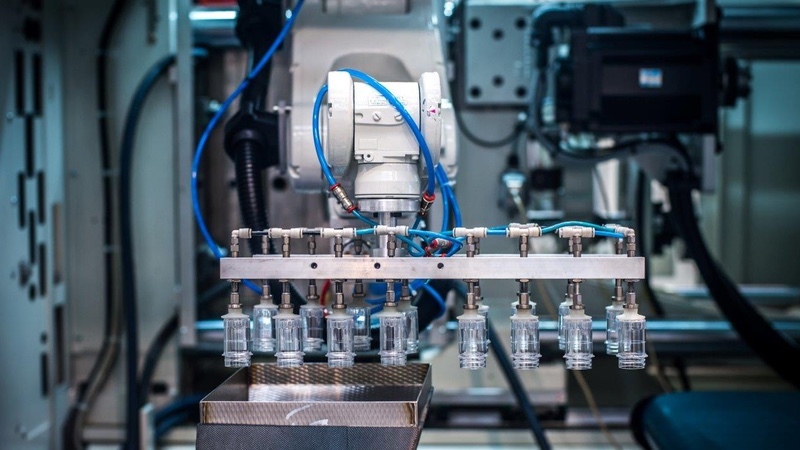 Worth noting that if a robot or peripheral equipment is installed, European health, safety and environmental directives mean it is mandatory for injection moulding machines to carry the CE marking. This certification applies to any injection moulding equipment manufactured outside of the EU or imported from non-EU countries when put into service in the European market. With the Supply of Machinery (Safety) Regulations 2008, and amendment in 2011, it is now mandatory for a complete robotic cell to carry the CE marking. The directive states that whoever created the final installation is responsible for obtaining this certification. The regulation is enforced in Great Britain by the Health and Safety Executive; any non-compliant installation can result in a fine of £5000 or up to two years in prison. Cleaning is typically done daily and periodic deep cleans are advised. To make this easier, machines are often raised off the ground on feet. While ceiling height isn’t a consideration for the machines themselves, they rarely exceed head height as operatives need to be able to safely install and remove moulds. Special anti-static paint is also applied to the external walls of the machine to prevent airborne particles from sticking. Ionisation is also good, not just to keep the parts clean, but also to keep the static out to ensure parts don't stick together and are easier for robots to handle and pack. Knowledge and confidence when operating injection moulding machines is critical to ensure quality standards, production efficiency, and maintenance routines are not compromised. In today’s advanced plastics sector, staff need to have an equal measure of specialist technical skills coupled with broader IT, science and engineering capabilities to support the level of innovation needed. They need to be able to perform tool changes quickly and confidently, understand the processing conditions of different plastic components and how cycle times, injection pressure, melt temperatures and how these basic parameters impact part quality. Don’t underestimate the importance of ongoing training and development, as well as engaging your workforce in asset care. 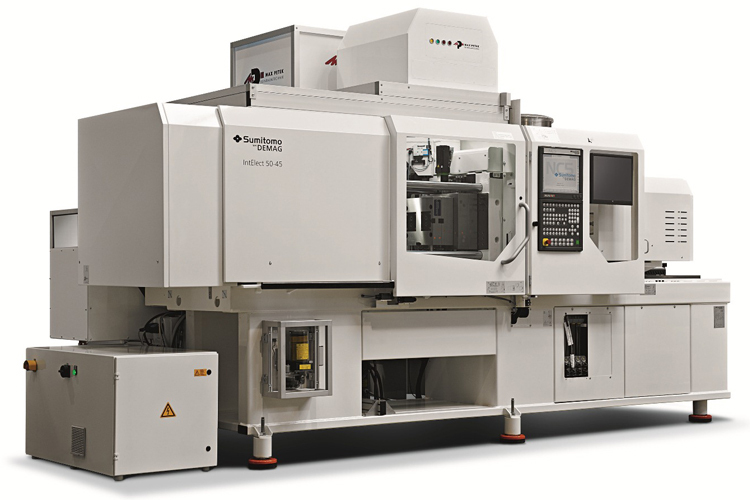 Rapid development of various micro technologies, including micro-optics and microfluidics, mainly in Western Europe, is expected to increase demand for microinjection polymer moulding. Germany holds a large amount of the European market for micro-IM from increasing medical expenditure and its lead position in automobile manufacturing. 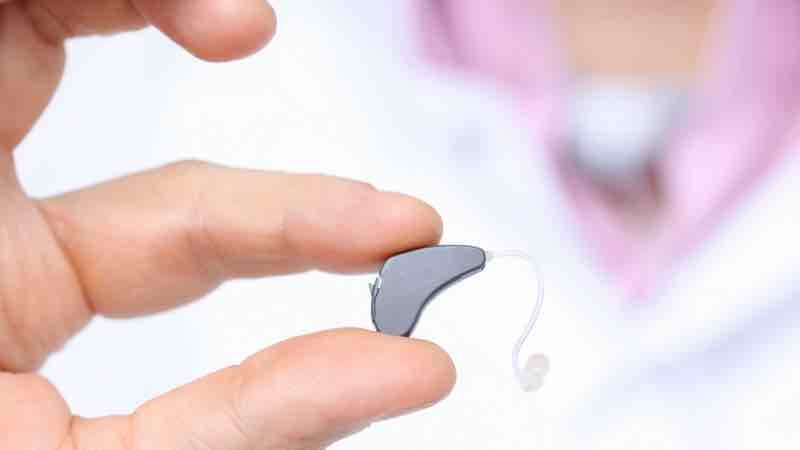 The trend for implantable devices in the medical industry is a significant advance for the sector. While the overall production process is not altogether different, the type of material used could be. Research shows that gold nanoparticles in some cases help to destroy cancer cells, so are used in aspects of chemotherapy. The number of minimally invasive surgeries is also on the rise and expected to drive greater adoption of micro-IM over the coming years.